There are not many people in the world who are able to change the name of a nation. But King Mswati can - he is one of the world's few absolute monarchs. 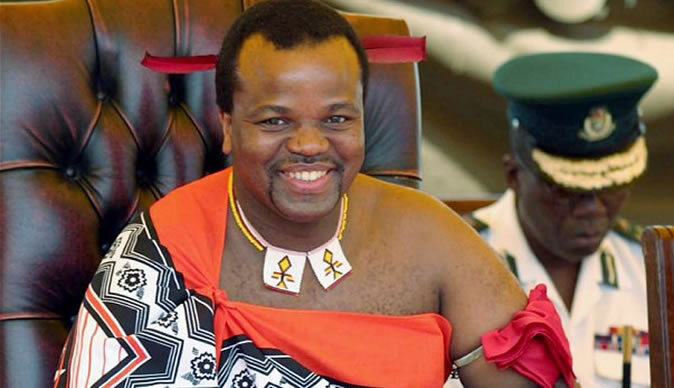 King Mswati III of Swaziland announced on Wednesday that he was renaming the country "the Kingdom of eSwatini". The monarch announced the official change in a stadium during celebrations for the 50th anniversary of Swazi independence. The celebrations also marked the king's 50th birthday. The new name, eSwatini, means "land of the Swazis". The change was unexpected, but King Mswati has been referring to Swaziland for years as eSwatini. It was the name the king used when he addressed the UN general assembly in 2017 and at the state opening of the country's parliament in 2014. He explained that the name had caused some confusion, saying: "Whenever we go abroad, people refer to us as Switzerland." The BBC's Nomsa Maseko in Swaziland says the announcement of the name change has angered some in the country, who believe the king should focus more on the nation's sluggish economy. Swaziland's leadership has been criticised by human rights activists for banning political parties and discriminating against women. The son of Sobhuza II, who reigned for 82 years, King Mswati currently has 15 wives. According to official biographers, his father took 125 wives during his reign.